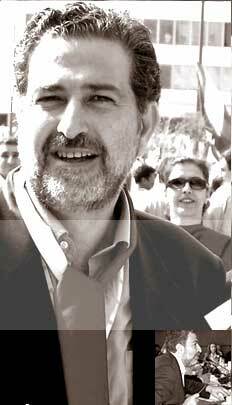 Immediately following the assassination of journalist Samir Kassir, an important question should be raised: is the assassination a settlement of accounts during a transitional period, which allows such acts in light of the developments in Lebanon after the assassination of former Prime Minister Rafik Hariri? Or, is Kassir's assassination linked to the international and regional conflict being played out in the Lebanese arena under the pretext of preventing the control of Lebanon by the U.S.? When a journalist is killed - any journalist - the direct cause is not personal, even if such motives exist. It is rather due to the articles written by that journalist and the enemies he made through his writing. Kassir was not an investigative reporter, but a political journalist who expressed his commitment to the ideology of Arab nationalism. Recently, he targeted the security system in Lebanon and criticized the Syrian regime. In particular, Kassir criticized the policies adopted by the Syrian regime since the rise of Syrian President Bashar Assad to power. Kassir's commitment to the anti-Syrian opposition manifested by the fact that he went beyond defending Lebanon against Syria by defending Syrians in Syria. This possible theory for the cause of the assassination facilitates an understanding about potential guilty parties. If Kassir's assassination had not been a full-fledged political message, would it have been carried out in public and could it have not been premeditated? Until the Lebanese state acknowledges the logic of the preliminary investigations committee following Hariri's assassination, which stressed the necessity for restructuring the security bodies, the Lebanese cannot be assured of their safety. Until this restructuring is enforced under the supervision of a transitional government such as that of Premier Najib Mikati, (which could not conceal its embarrassment following Kassir's assassination, even though it claimed it could not have reformed the security apparatus during the length of its term), other assassinations remain possible. Some believe that Kassir's assassination, four months after Hariri's, is a test to the "new" security regime after the withdrawal of Syrian troops, military and intelligence. Security incidents in Lebanon have always been an issue that goes beyond Lebanese domestic affairs, even if closely linked to them. On the domestic level, in the post-Syrian withdrawal era, observers noted no traces of a Syrian-American conflict in the arena, especially in the absence of any current hope for a dialogue between the two countries. However, the overwhelming victory of the leading Shiite political movements Amal and Hizbullah in the parliamentary elections in South Lebanon also reflects a continuing faith in the political alliance with Syria, which both movements did not abandon. Although Syria received a sharp blow after its pullout from Lebanon, the Syrian regime is still influential and the loss of Lebanon as a bargaining chip does not mean a total loss in Lebanon.